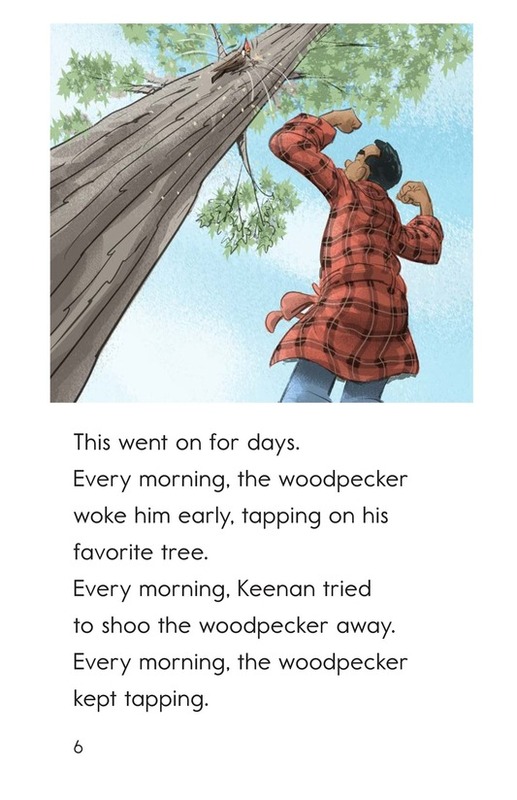 Every morning at 5:30 a.m., Keenan wakes up to the sound of a woodpecker tapping on his favorite tree. 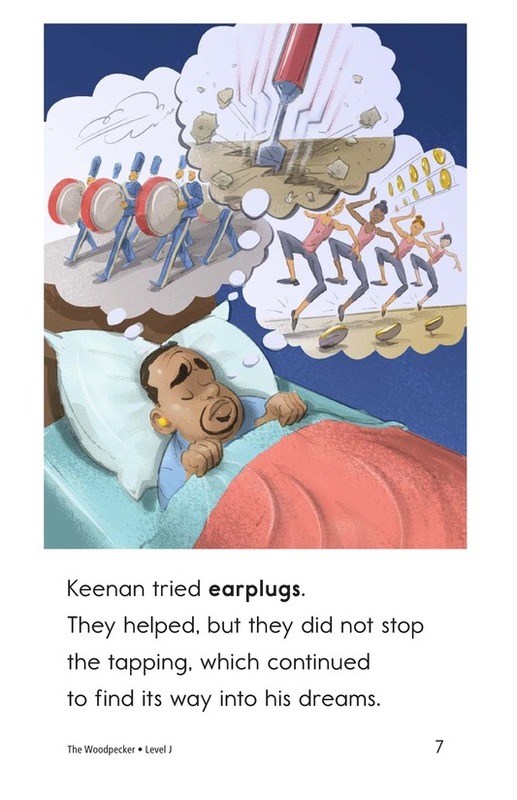 What can he do to stop the noisy intruder and get a good night's sleep again? 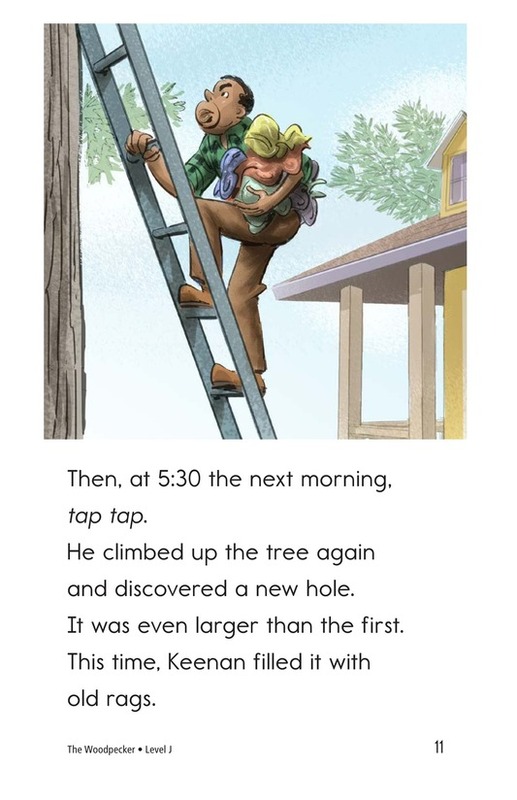 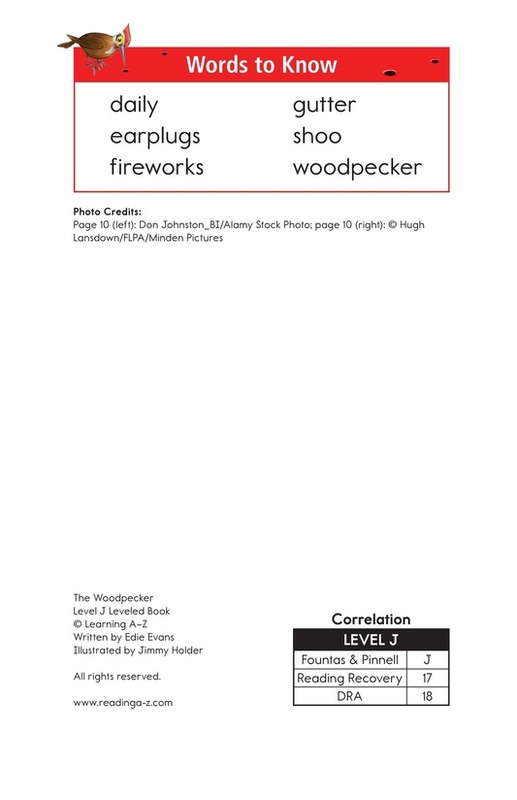 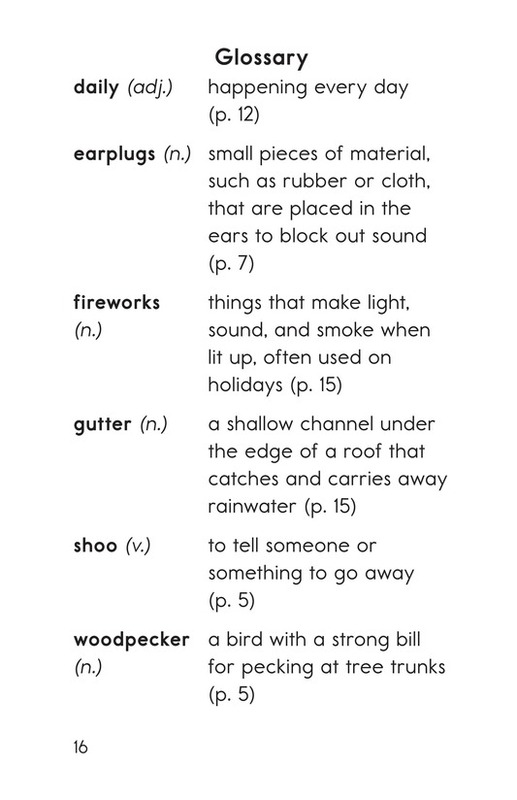 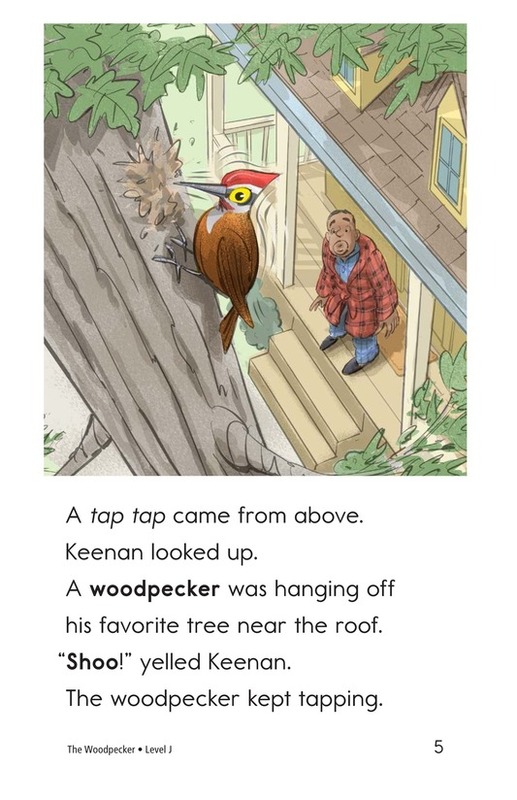 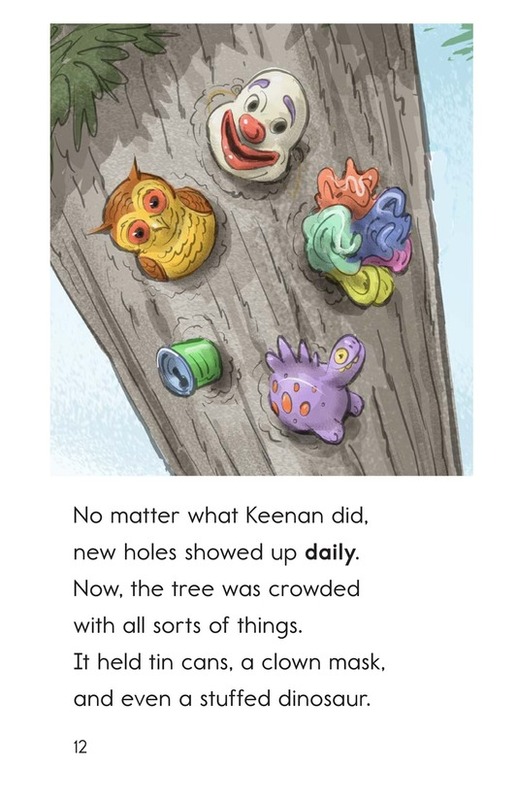 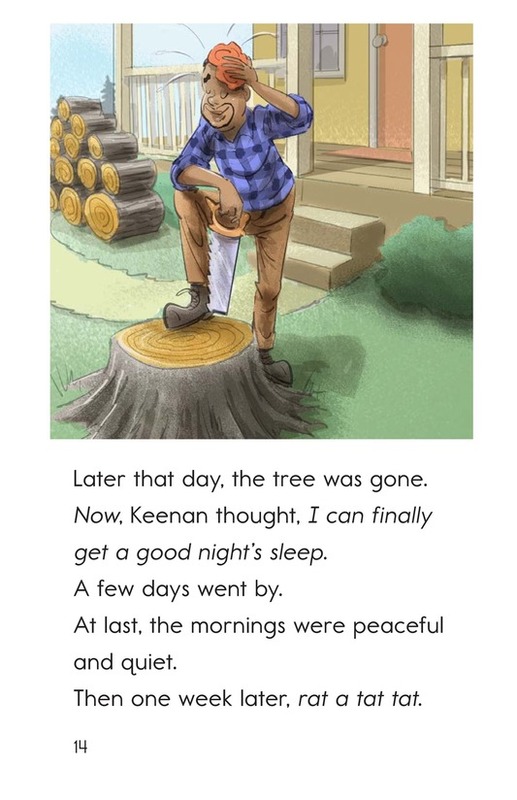 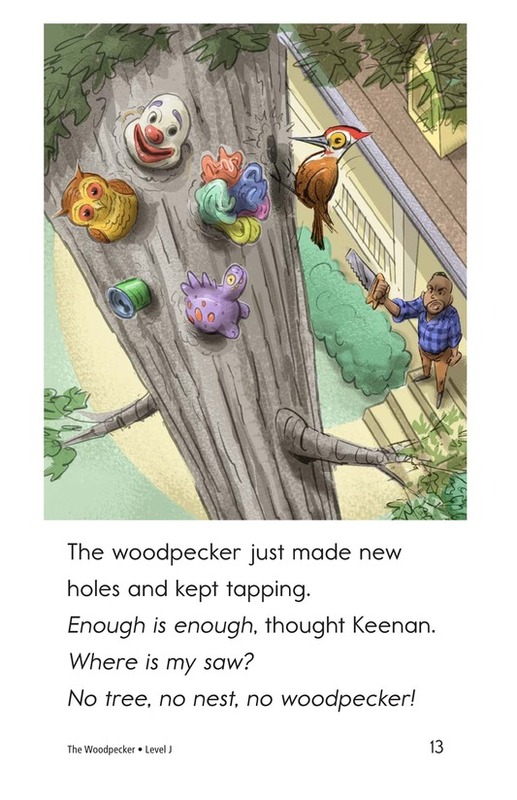 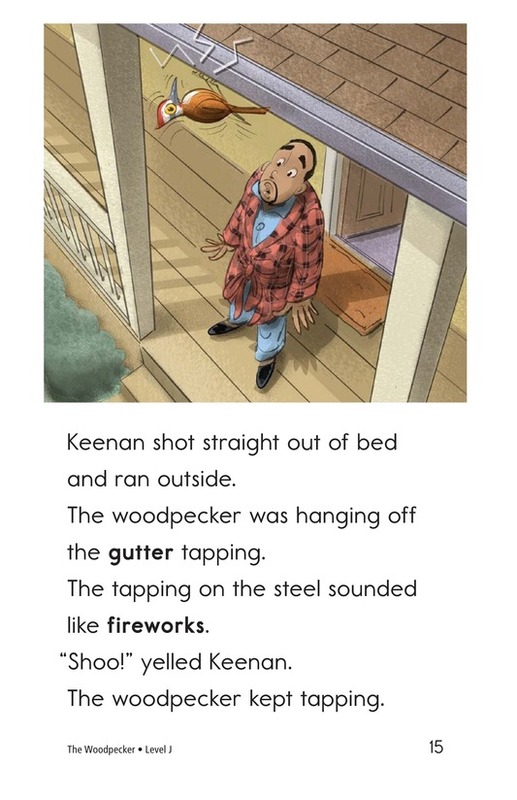 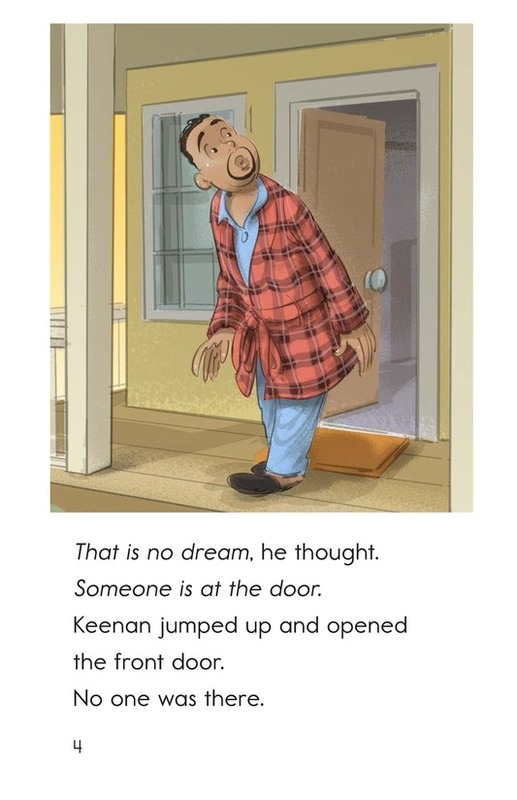 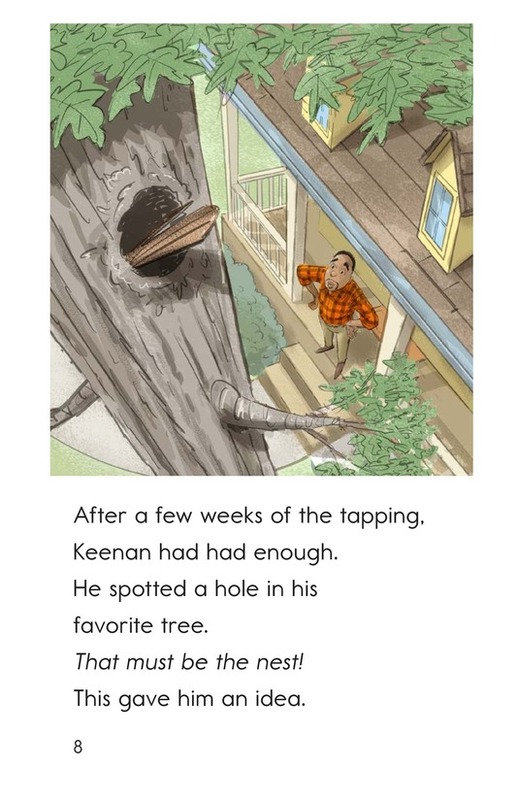 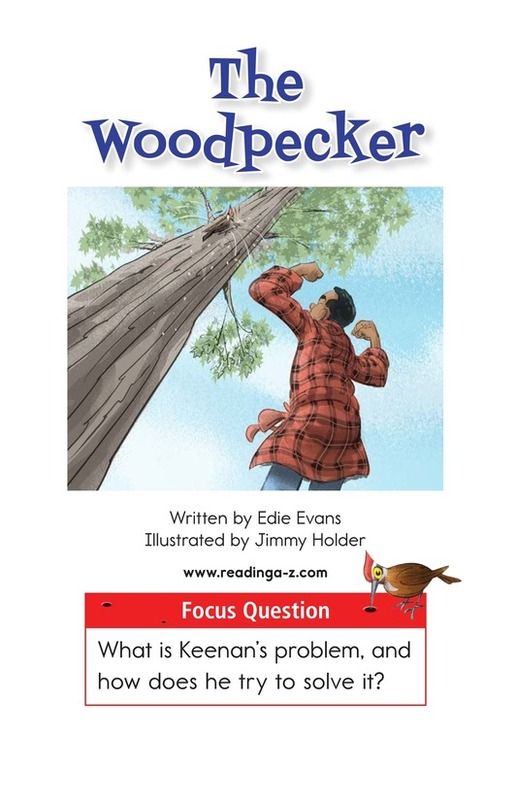 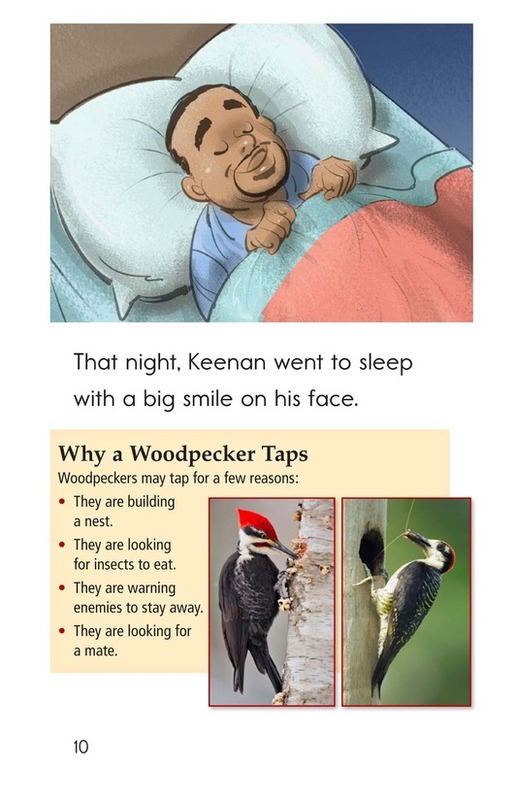 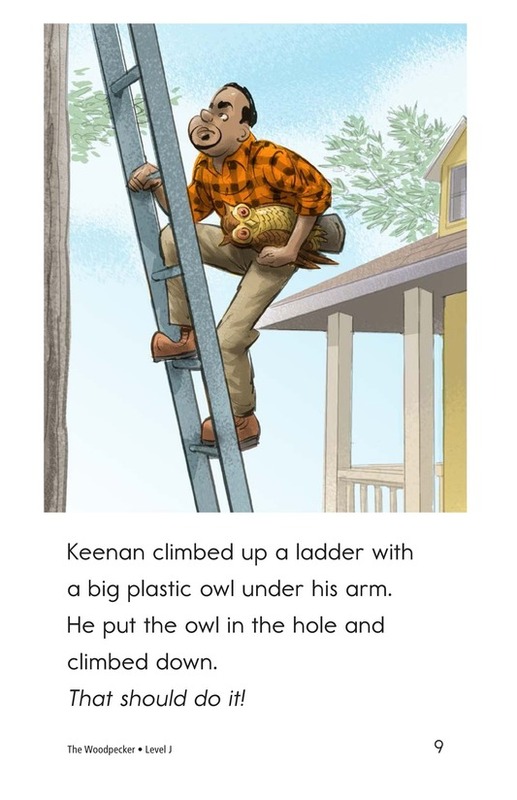 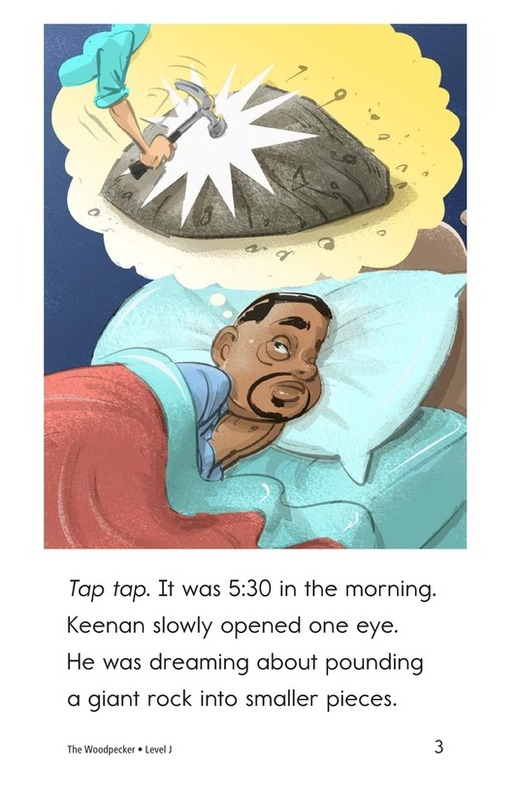 The Woodpecker is a fun and humorous story that follows Keenan's attempts to stop the woodpecker from tapping. 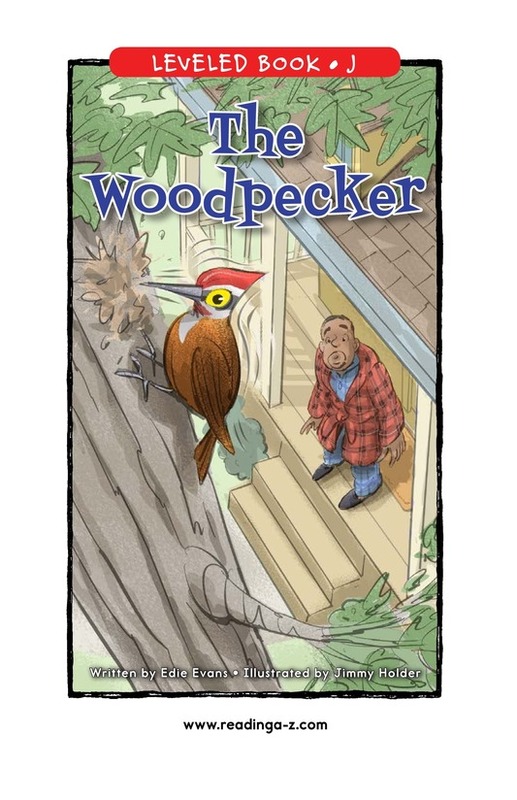 Colorful photographs and a fun storyline will keep students engaged with this book. 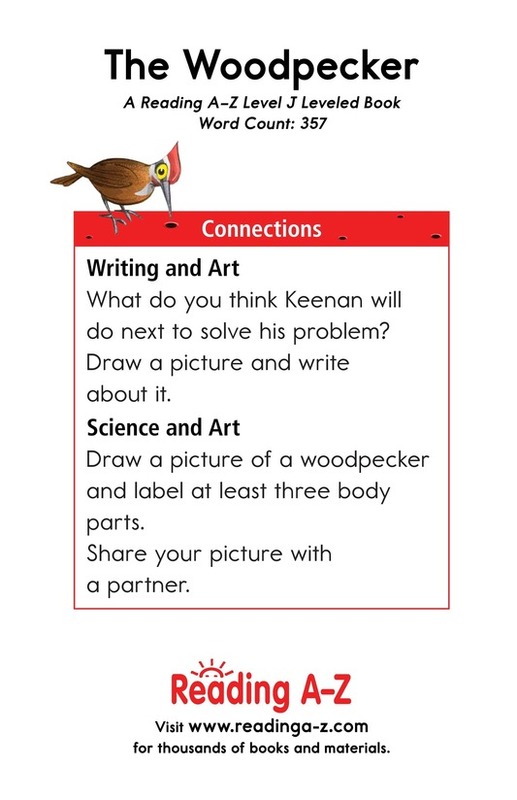 It can also be used to teach students how to make, revise, and confirm predictions as well as to identify the problem and solution in a story.